Ponds & Lakes - Carp - Aquaponics & Courses - Sustainable Aquaculture - Aquavision Sustainable Aquaculture - 2-3 season growing or all the year around? 2-3 season growing or all the year around? One consideration is whether you want to have the system growing all the year round or for just for the warmer months of the year. Our climate in the UK demands that during the winter months additional lightijng and heating will be needed for growing plants and fish. 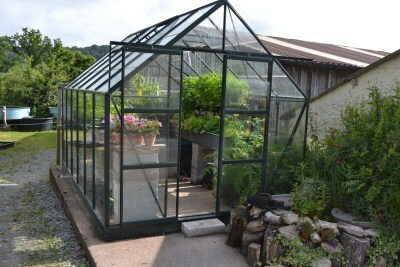 The simplest approach would be to grow carp or perch, in a greenhouse (or outside) and have the system productive from May until late October. 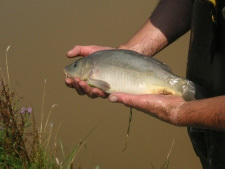 In the winter, plant and fish growth will cease as as day lentgh reduces and water temperature drops to below 10oC. In the spring, as air and water temperatures rise, the fish begin to feed again, producing more waste which allows the propagation of plant to commence once again. Alternatively, if you are prepared to use lights and heat water, you could grow tilapia or carp throughout the year and reap the added benefits. Please note that unlike carp, tilapia will NOT tolerate winter ambient temperatures in the UK and therefore must be kept in a heated system.